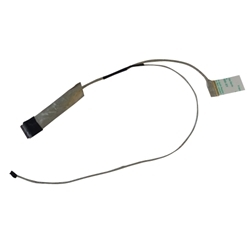 Description: New laptop 14" lcd video cable. This cable is the non-touchscreen version only. If your laptop has a touchscreen this is not the correct part. Compatible Part #'s: YP9KP, 0YP9KP, N9KXD, 0N9KXD, 50.4XP02.001, 50.4XP02.011. Dell Inspiron 14 (3421), (3437). Dell Inspiron 14R (5421), (5437).